Here is the beautiful finished painting, LaGrange vs. LaGrange. Thanks to these strong and determined women, the Union army agreed to spare the town and the women agreed to give the soldiers dinner. What an assortment of armed women the 2nd Brig. 1st Div. encountered. 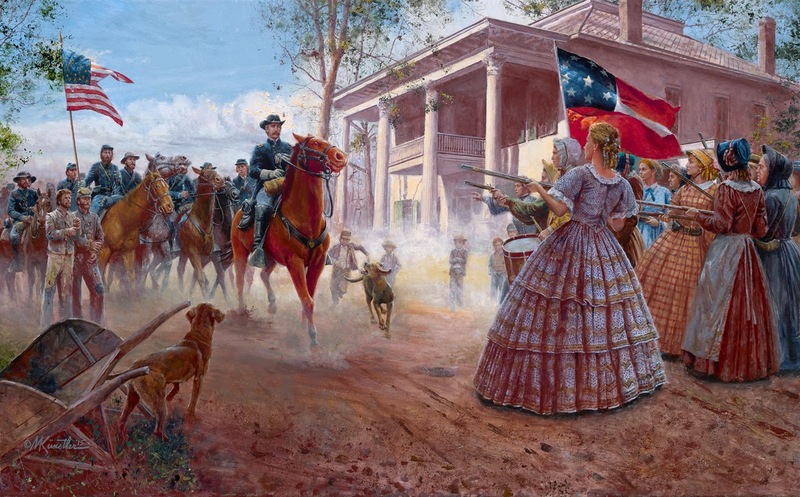 Although the women were outgunned and outnumbered, the Colonel complimented them on “their fearless spirit and fine martial air.” What a beautiful painting to finish up Mort’s Civil War career. It’s also fascinating to reflect on the fact that this all took place after the surrender at Appomattox because word had not reached everyone the war was over. Click here to read more and to purchase Limited Edition Artist's Proof Giclées. Mr. Kunstler, I write the Civil War Women blog. 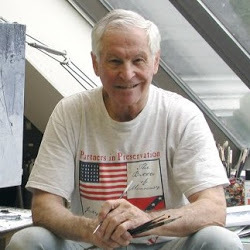 I have used many of your paintings in my articles, and I want to thank you for the wonderful works you have created for the rest of us to admire. Your art will live on forever.